US ambassador to UN says North Korean officials postponed meeting with Secretary of State because they were not ready. North Korean officials postponed a meeting with US Secretary of State Mike Pompeo that had been scheduled for this week because they were not ready, Nikki Haley, the US ambassador to the United Nations, told reporters on Thursday, according to Reuters. On Monday, the State Department announced that Pompeo would meet with senior North Korean official Kim Yong Chol in New York on Thursday to discuss North Korea’s denuclearization. On Tuesday night, however, it was announced that the meeting had been canceled. No reason was provided. 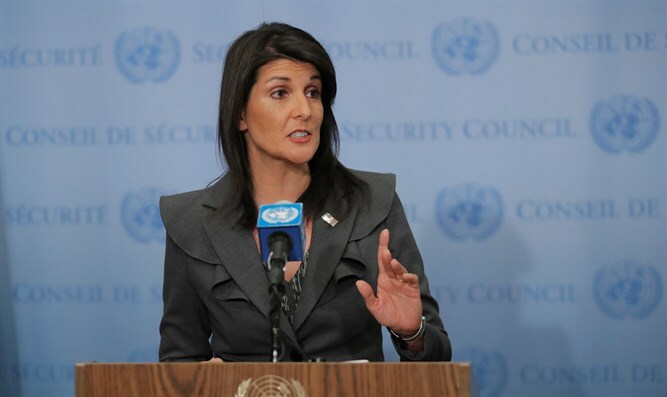 "North Korea said they needed to postpone it for whatever reason," said Haley on Thursday. "Secretary Pompeo was ready to come. We continue to stand ready to talk but I don't think that there was some major issue. I have talked with the administration and basically what we're looking at is they postponed it because they weren't ready." Pompeo and the North Korean official previously had dinner in New York last May, ahead of the historic summit between President Donald Trump and North Korean leader Kim Jong Un that was held in Singapore a month later.